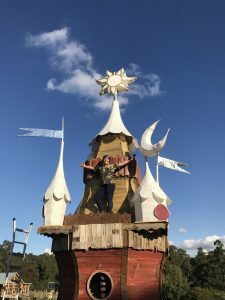 The Winter Solstice Festival 2019 is located at Edendale Farm in leafy Eltham just 30 minutes from central Melbourne. Parking will be available at the North Eltham Adventure Playground carpark and in surrounding streets. Allow yourself time to park and walk. No parking in front of private driveways or bus stops. Hurstbridge Line to Eltham Station, trains arriving approx. every 20-30 min/departing approx. every 20-45 min. Edendale Farm is a 15 min walk from Eltham Station. The Diamond Creek Trail passes right by Edendale Farm allowing easy access by foot or bike. There will be plenty of bike parking facilities.